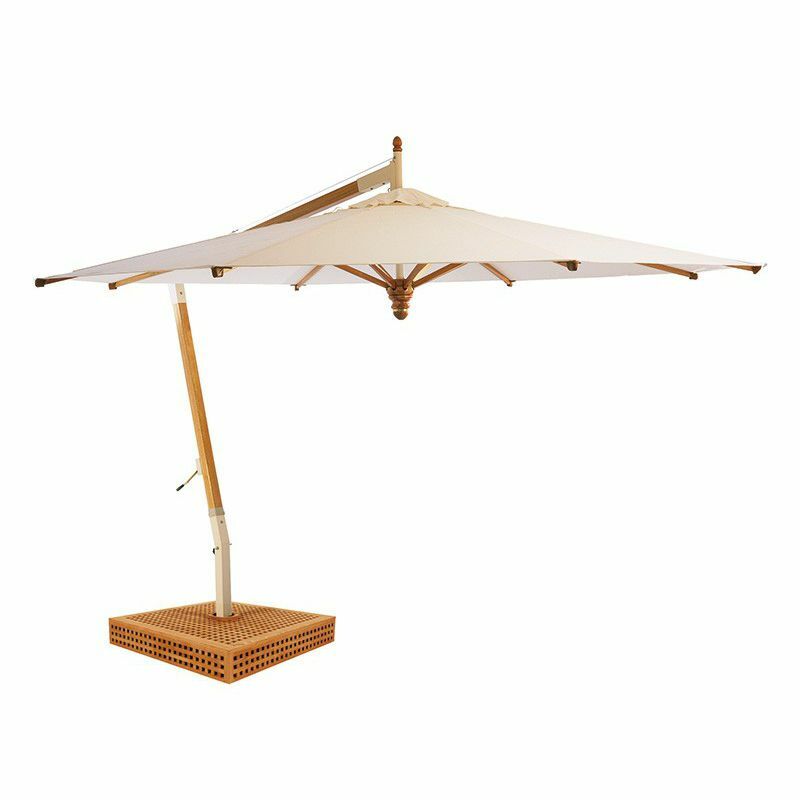 With the COLIBRI parasol you can shade a large area without being encumbered by a central pillar. Its canopyâ€“especially light owing to its aluminium ribsâ€“opens and closes easily thanks to a crank operated system. 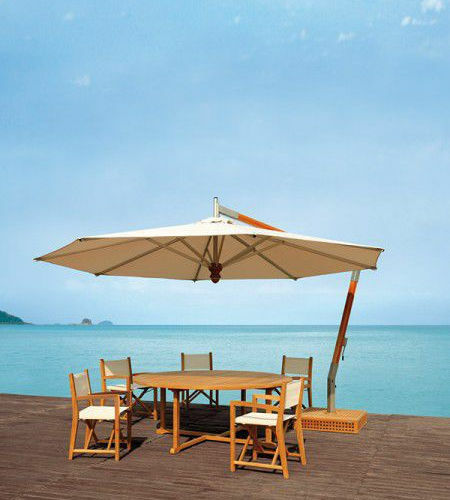 Measuring 4 meters in diameter, it can shade a table for 8-10 people. 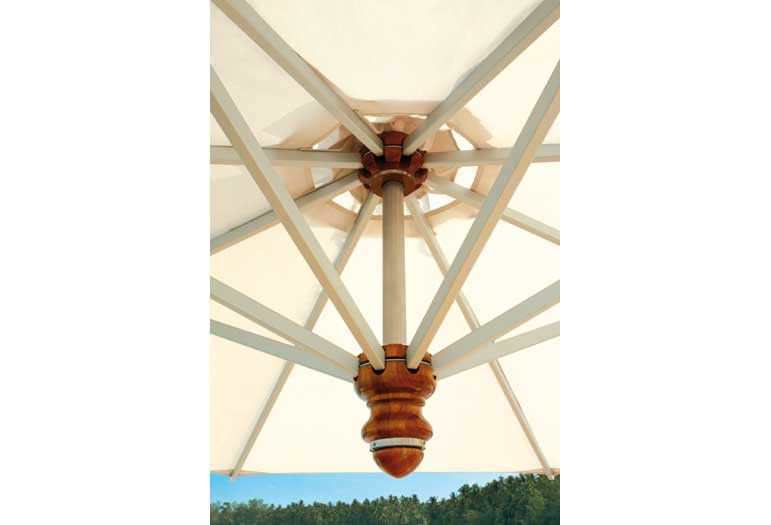 A varnished wooden mast pivots around its axis enabling you to keep the area shaded at all times of day.